Kyrie Irving and Marcus Morris each score 20 points to lead Boston in a Game 1 win over Indiana. 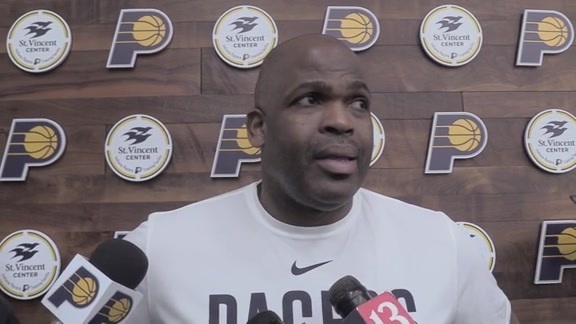 April 14, 2019 - Pacers head coach Nate McMillan spoke with the media following Indiana's 84-74 loss to the Boston Celtics in Game 1 of their First Round matchup on Sunday afternoon in Boston. 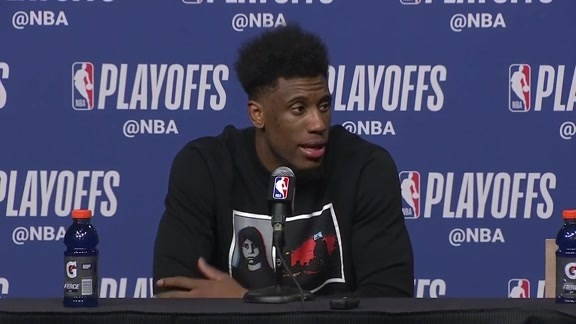 April 14, 2019 - Pacers forward Thaddeus Young spoke with the media following Indiana's 84-74 loss to the Boston Celtics in Game 1 of their First Round matchup on Sunday afternoon in Boston. 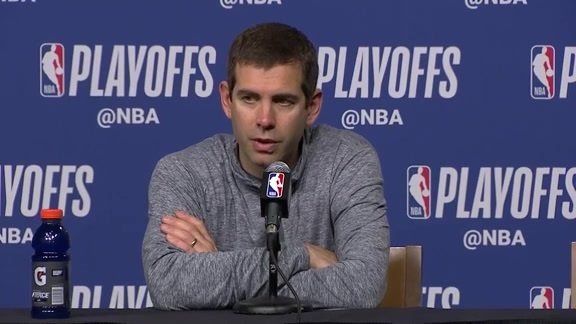 April 14, 2019 - Celtics head coach Brad Stevens discussed Boston's 84-74 win over the Indiana Pacers in Game 1 of their First Round matchup on Sunday afternoon in Boston. 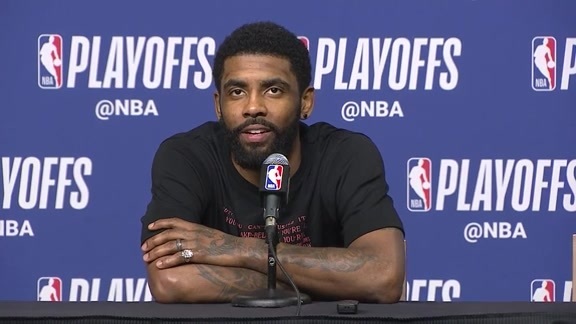 April 14, 2019 - Celtics guard Kyrie Irving discussed Boston's 84-74 win over the Indiana Pacers in Game 1 of their First Round matchup on Sunday afternoon in Boston. April 14, 2019: Myles Turner soars to pin Jayson Tatum's layup against the glass. April 14, 2019: Myles Turner rolls aggressively after setting the screen for Tyreke Evans and rises up for the layup. 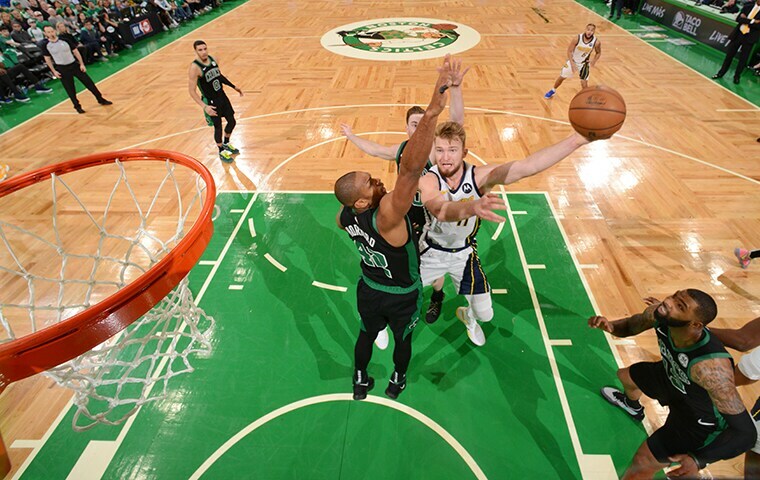 April 14, 2019: Thaddeus Young hustles back down the floor to deny Al Horford at the rim. April 14, 2019: Tyreke Evans gets the ball off the defensive rebound and euro steps in the lane to hit the layup. 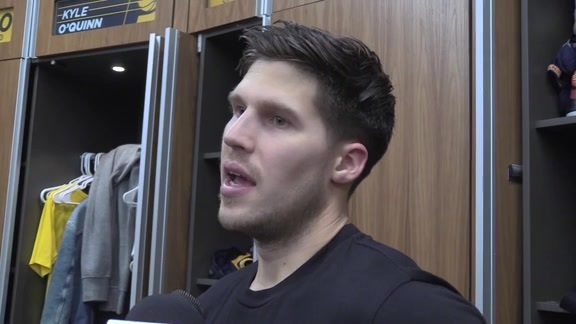 April 14, 2019: Bojan Bogdanovic grabs the defensive rebound and finds Wesley Matthews up the floor to drain the three. April 14, 2019: Thaddeus Young gets the steal and the transition opportunity leads to a Darren Collison layup. 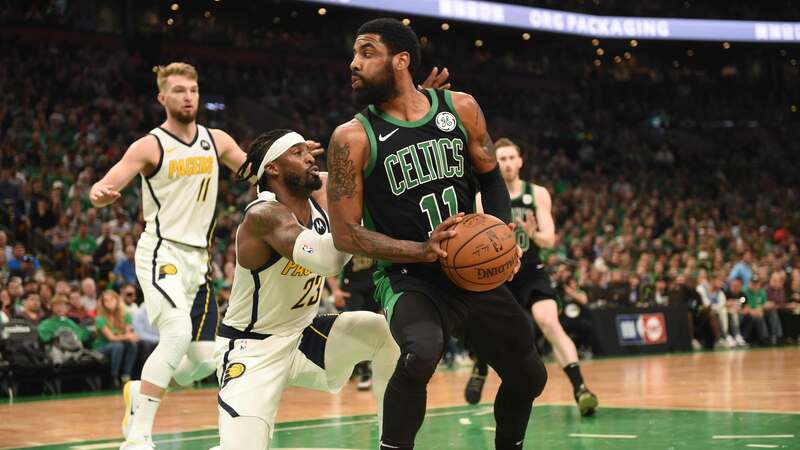 The Pacers' offense couldn't find its footing in the second half en route to an 84-74 Game 1 loss to the Celtics in Boston. 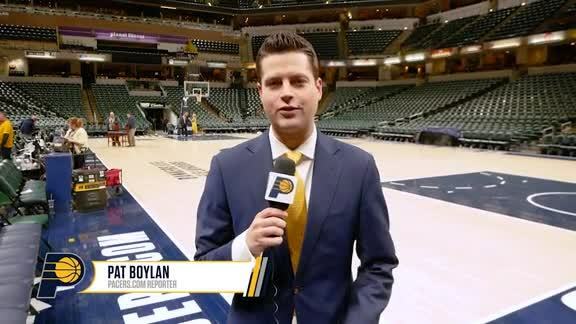 In total, Indiana scored just 29 combined in the third and fourth quarters, and though the defense was able to hold the Celtics in check, the lack of scoring was the Pacers' downfall in this one. Indiana started the third quarter with a seven-point lead after a nice first half, but the Celtics started fast in the third quarter, scoring the period's first seven points to tie the game at 45. From there, Boston continued to pile it on with what would end up being a 22-5 run. The outburst gave the home team a 60-50 lead with just under three minutes to play in the quarter. When the third was said and done, Boston had outscored Indiana 26-8 in the quarter and led 64-53. "We just didn't make enough shots," Pacers forward Thaddeus Young said of the third. "We were getting wide open looks and they were rattling in-and-out or they were just missed shots." The fourth was not any better for the Pacers. They continued to struggle to score and at the 5:21 mark in the final quarter, Boston led by 20, 79-59, and the game was effectively over. "Well you figured they'll make adjustments," Pacers guard Darren Collison said. "We handled them pretty well in the first half, so it was their turn to make adjustments. They did that, so we'll go back to the drawing board ourselves, and we'll come back." Indiana struggled from every spot on the floor, shooting 33.3 percent overall (28-of-84), including just 6-of-27 from beyond the arc and 12-of-21 from the free-throw line. 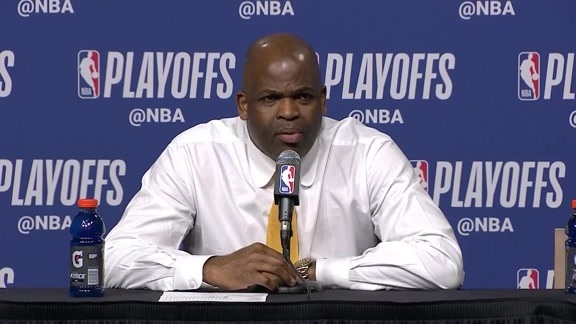 "We had open looks that we didn't knock down," Pacers head coach Nate McMillan said. "I thought we lost a little confidence. They got the momentum and never let that go." Indiana got off to a nice start behind Wesley Matthews. Matthews canned two 3-pointers in the early going to help give the Pacers a 12-6 lead with 6:20 to go in the opening quarter. Boston got a boost off the bench from Marcus Morris. His 3-pointer at the 2:15 mark tied things at 18, and his pair of free throws near the end the quarter made the score 20-20 heading into the second. Morris finished the first with 12 points. In the second, the Pacers trailed 22-21 before ripping an 8-0 run to lead 29-22 and force a Boston timeout with 9:08 left in the first half. The Celtics quickly made it 29-25, but the Pacers answered with six straight to lead 36-25 with 5:15 to go in the second. Boston would get within seven, but Cory Joseph drilled a long triple to push the lead back to double-digits, 43-33, with 2:19 remaining. From there, Indiana was able to hold onto its lead heading into the locker room. Unfortunately for the Pacers, the second half ended up being much different than the first. Cory Joseph was Indiana's leading scorer with 14 points. Bojan Bogdanovic scored 12 and Matthews finished with eight. For Boston, Kyrie Irving and Morris each scored 20 points. Jayson Tatum added 15. Each team finished with their season low in points scored. The Pacers were outrebounded 48-33 by the Celtics. The Pacers were outscored 24-14 on the fastbreak. The third quarter went a long way in deciding today's contest. Boston outscored Indiana 26-8 in the period. It was the Pacers' first single-digit scoring quarter this season and in franchise playoff history. The Pacers were just 12-of-21 from the free-throw line, while the Celtics shot 18-of-22. The Pacers' starters shot just 34 percent today (15-of-44). Game 2 against the Celtics is on Wednesday, April 17. The action will start at 7:00 PM on TNT, FOX Sports Indiana, & 1070 The Fan.